Let’s begin with a quick look at the league table. In first place, we have the perennial champion CHILDBIRTH (no scudetti stripped but the possibility of doping remains). In second place we have an equal opportunity curse, the kidney stone. In third place? I would like to think that the dental abscess has to be up there. Mine didn’t help my week preceding the Atalanta game. Fortunately, all of the above can be resolved with time and medication. Footballing allegiances, however, are untreatable. Often terminal. Gillman, the big number 12, who has been suffering from a particularly virulent Italian strain of footballing allegiance since his teenage years, made his first appearance of the season against the Bergamaschi, and didn’t seem overawed by the occasion or outwardly troubled by the seasonal temperature. In fact, he seemed surprisingly fresh considering he had been busy jinxing the hunchbacks in Rome the previous evening. This wasn’t a day for drinking cold beer outdoors, to be honest – I’d just finished my antibiotics – but nor was it a day for standing still. One sometimes wonders how goalkeepers get back into the dressing room in one piece on a cold afternoon: an appendage drops off during the course of play and it isn’t until the half-time cup of tea that the awful truth dawns. Not that goalkeepers drink beer on duty these days, of course; maybe they did in the sixties when men WERE men: ‘keeper having a swift half while the outfield players lit up a crafty cigarette ('smoking down the wing' had a different connotation in those days)? I understand that sometimes in football one must be economical with the truth (in the sense of showing a poker face to one’s rivals; not divulging transfer targets… but Sepp Blatter fits the bill equally well), but incomplete information between the club and the supporters leaves at least one season-ticket holder wondering what Ventura’s putting in his hot milk at bedtime. Bianchi starting? Fair enough – he is still captain, after all – but Stevanovic? A decent second half and a goal in the reverse fixture (the 5-1 in Bergamo), but otherwise nothing this season. And nothing this game, either. Consistency is not always something to be admired. We had no anti-Cairo chanting. Why not? We sang Ventura’s name after the final whistle (not that he acknowledged it – again, why not?). I was a bit bemused by Vives’ selection and performance, but a quick glance at the stats showed that he completed more passes than anyone else on the pitch. The stats don’t tell us how many of those passes went sideways or backwards, but there were lots of them. Normal service resumed: Meggiorini wasn’t playing against Inter. Didn’t score. It’s easy to warm to Valter Birsa. Young, quick, enthusiastic, works hard, good crosser. For him to score the winner was very pleasing both in the context of this match and as a punctuation mark in his development as a player this season. The Maratona may have been singing Alessio Cerci’s name, but Birsa scored the winning goal. [Just between you and me, what if Birsa played as a false 9 (you heard it here first, folks!)? Birsa and Barreto up top with Cerci/Santana/Dolly out wide? Not much physical presence, true, but it would certainly be quick enough. And a lack of physical presence up top hasn’t exactly held Barcelona back in recent years. Could be my medication talking, but why not?]. Turin (with the stress on the first syllable if you’re speaking the local dialect; “Torino” is the Italian name) will be the European City of Sport in 2015. Rumour has it that the Olimpico will be redeveloped between now and then. Pros and cons. On the plus side, if the Olimpico can be improved (tifosi in both curve closer to the pitch, better acoustics and protection from the elements), I am in favour. But where do we play in the meantime? Sharing with the Gobbi again? We’d have to rebuild half of their stadium every fortnight. I would like to take this opportunity to express my pride in being a member of a club that does not discriminate against any opposing player or supporter on the grounds of their skin colour or ethnic origin. We may not be perfect, but we are not racist. We may criticise others for their allegiances past and present, but that is where it ends. I can understand Inter fans giving Balotelli the bird because he’s an ex-player, but I can’t understand them giving him the bird because he’s black. I seem to recall he was black when he played for them. See you with better teeth for the Palermo game. Steve is a season ticket holder who moved to Torino in 2009 after meeting a Torinese lady called Raffaella on Facebook - you can follow Steve on Twitter here. Nine-man Torino suffered an agonising last minute defeat in Sardinia, as Cagliari came from behind to win 4-3 in a match that had a breathtaking finale. Giampiero Ventura chose to line up with the same eleven that started the game against Atalanta, so last week's hero Valter Birsa had to make do with a place on the bench. Usually before away matches, Giampiero Ventura would probably tell his team to keep possession in the early stages in order to quieten the home supporters. However, as this game was being played 'behind-closed-doors' due to safety concerns at the stadium, Ventura's pre-match team talk may have been a little bit different. As has happened so many times in recent weeks, Torino had what seemed to be a solid claim for a penalty turned down by the referee, despite Angelo Ogbonna being upended in the area by Danilo Avelar. However, official Sebastiano Peruzzo did point to the spot when Ogbonna himself fouled Marco Sau. Whilst it was a clumsy challenge by the Italian defender, on the replays it looked as if the in-form Sau had ended up on the ground because he kicked fresh air, and not because he was fouled. The former Juve Stabia striker picked himself up to take the penalty, and he dispatched it well to give the 'home' side the lead. 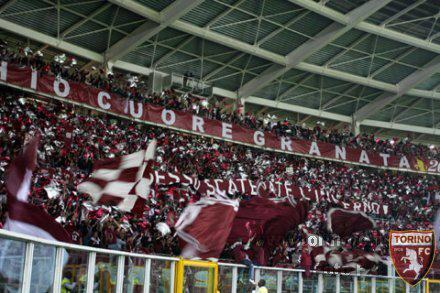 After going behind the Granata reacted well, and were on level terms just two minutes after half time. Matteo Darmian's initial cross was blocked, but the ball fell to Alessio Cerci who fired the ball into the bottom corner - although Cagliari keeper Michael Agazzi may feel he could have kept it out. And less than ten minutes later Torino took the lead, as Agazzi failed to deal with clear Darmian's deep cross, and that allowed an unmarked Alen Stevanovic to side foot home. Many were surprised that Giampiero Ventura stuck with Stevanovic after his disappointing performance last weekend, so that goal was perhaps a reward for the manager's faith in the winger. Torino had chances to extend their lead on the counter attack, but failed to take any of them - and were then punished fifteen minutes from full time when an unmarked Daniele Conti was able to head in from ten yards. In the last couple of minutes of normal time, Angelo Ogbonna's day got even worse when he upended substitute Mauricio Pinilla in the area to concede his second penalty of the game - and he also received his first red card of his career because he was the last defender. Chilean striker Pinilla calmly converted the penalty, and that looked to be enough to seal all three points for the Sardinians, especially when Toro were reduced to nine men moments later. Young striker Abou Diop, who had been on the pitch for less than a minute was given a straight red card for an apparent elbow on Albin Ekdal, in what appeared to be an extremely harsh decision. However, two minutes into injury time nine man Torino were awarded a penalty of their own when Rolando Bianchi was tugged back by Davide Astori. As Sau and Pinilla had done before him, Bianchi picked himself up and scored what looked to be a dramatic equaliser. But incredibly, there was still time for another goal, as with the last kick of the game, Daniele Conti's long range shot took a huge deflection off Kamil Glik to leave Jean-Francois Gillet stranded and Torino's nine men heartbroken. Whilst this game's dramatic ending as well as some questionable refereeing decisions may divert attention away from Torino's performance, the Granata can be pleased that for 75 minutes of this match they were by far the better team. However, they will be disappointed that they were unable to extend their lead and make the game safe after taking the lead in the second half, and in the end they were punished in the cruelest possible way. 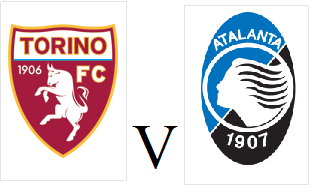 After last weekend's dramatic victory against Atalanta, the Granata travel to Sardinia knowing that a victory could catapult them into the top half of the table. Danilo D'Ambrosio has returned from suspension, so he could return to the starting eleven - however it would not be a surprise if Matteo Darmian kept his place, and left back Salvatore Masiello was replaced. Fresh from scoring the winning goal last time out, Valter Birsa should be rewarded with a start, in place of Alen Stevanovic who failed to impress last weekend. This fixture will be played 'behind-closed-doors' due to safety concerns at Cagliari's Is Arenas stadium, and it will be interesting to see how the lack of supporters effects both teams. Despite numerous off the pitch distractions (their President Massimo Cellino is currently in custody for offences relating to the new stadium) Cagliari have been in impressive form, and are unbeaten in their last six matches. Striker Marco Sau (who scored against Toro for Juve Stabia last season) is Cagliari's main danger man, and he scored twice against Pescara last time out. As regular readers of this blog will know, last weekend I embarked on a short weekend break to Turin, with the intention of trying to end my eight year wait to witness a Granata victory. However, as this trip was my first ever 'solo' holiday, it was also an opportunity to explore a city that could one day be my home. Despite living in the centre of England - twenty minutes away from one of the biggest airports in the country - it is impossible to fly direct to Turin from Birmingham Airport, and therefore my day started extremely early in the morning as I had to fly first to Frankfurt, and then on to Turin. In spite of my lack of sleep, I dropped my bags off at the excellent 'Hotel Diplomatic' (a hotel I can thoroughly recommend for anyone planning a visit) near to Porta Susa train station and went off in order to purchase my ticket for the match on Sunday. In the evening, I met up for a couple of beers with Steve Rose, again someone who regular readers of the blog will recognise for his excellent 'Maratona and Elsewhere' column. Our conversation was an almost surreal experience, as two English men stood at a bar in the centre of Turin, but had numerous conversations about Torino - including whether Danilo D'Ambrosio's suspension could effect Alessio Cerci's effectiveness against Atalanta (I don't want to give any spoilers away at this early stage, but it didn't). The locals also seemed to be bemused by this, and we were twice interrupted by two somewhat inebriated gentlemen who looked to be delighted to have the opportunity to speak English with genuine English people. After I was beginning to feel the effects of the two beers (I told myself this was due to the lack of food and sleep, because the alternative is that I am the biggest lightweight in the world) so I said my goodbyes to Steve, and that we would meet up again at the Maratona on Sunday afternoon. On Friday morning I made another trip to the Stadio Olimpico in order to visit the Museo Dello Sport, that I believe was only opened in November. The entry price of €14 granted me entry to the museum - that had exhibits from all across the Italian sporting scene - and also allowed me to tour the stadium. I have been on a number of stadium tours before (most notably at the San Siro), but this tour was made to feel much more personal as it was just myself and the tour guide. Therefore whilst the tour was much shorter than others I have been on, it meant that only the essential areas of the stadium were covered (at the Eintracht Frankfurt stadium tour, we were forced into seeing the car parks of both the players and the officials for some strange reason). When walking round the stadium, the tour guide (I unfortunately never found out her name) mentioned that she had taken another English Torino fan around the Olimpico a few of weeks ago. As fate would have it, just before leaving the stadium I bumped into that fan - Christopher Peet, a retired Granata fan from Stafford who travelled over from England for every Torino home game. Tour Guide, Christopher, and Myself. In the evening I visited the Gigi Meroni monument on Corso Re Umberto, and whilst I had seen it from a distance on past visits to the city, this was the first chance I had an opportunity to see it up close and pay my respects. For those that don't know, Meroni was a skillful winger who was tragically killed in a road accident in 1967 by Attilio Romero, a man who later became Torino president in the year 2000. Meroni was only 24 years old. On Saturday I made another visit to the Basilica of Superga, a location most famous for being where the plane carrying the illustrious 'Il Grande Torino' team crashed in 1949. Although I have visited Superga before, it really is a 'must-do' for any Torino fan in order to really comprehend the emotional impact of this tragedy. Despite originally intending to visit the 'Mole Antonelliana' in the afternoon, the one hour queue meant that this was postponed until later in the evening. After entering a lift that resembles the one from the film 'Charlie and the Chocolate Factory' the city of Turin looks truly remarkable from 548 feet, and the first word that came out my mouth when I exited the lifted was 'wow', because the view is truly breathtaking - especially at night. Sunday was a day of mixed emotions for me, because whilst I was excited about attending the Torino-Atalanta match, I was also a little sad that this would be my last full day in the city. I arrived at the stadium early in order to visit the merchandise stands, and after purchasing my Maratona scarf, and consuming a Salsiccia (I'm still not 100% percent certain what this is, but I believe it is some type of sausage) I entered the stadium about an hour before kick off. Whilst I have twice attended Torino matches at the Stadio Olimpico, this was my debut in the Curva Maratona - and despite initially having reservations regarding the type of view I could expect, the atmosphere (and view) was even better than I had hoped. It also enabled my to join in with one of the most famous traditions at Italian stadia, where the announcer shouts out the first name of the each player in the starting line up, and in unison, the fans shout his surname. Whilst this has been attempted to be replicated in English stadiums, it doesn't really work - so therefore even before the match had started, it was great to partake in this tradition. The match itself wasn't a classic - and in all honesty this was probably a good thing - because at times it was difficult to simultaneously watch what the ultras at the front of the stand were doing (one of whom looked suspiciously like Vincenzo Iaquinta) and also keep an eye on what was happening on the pitch. Therefore had it have been an entertaining end-to-end encounter, it would have been even more impossible. Thanks to Steve's translations, I attempted to join in with the singing as much as possible, although to be honest, I usually just started singing any song that included the words 'Gobbi' 'Merda' and 'Vaffanculo', not only because I knew what they meant, but also because they were also quite fun to shout at the top of my voice. On the pitch, Torino finally got a deserved breakthrough just before half time, as Alessio Cerci magnificently finished off a clinical counter attack. Despite continuing to dominate, fifteen minutes before full time, Atalanta equalised through German Denis' penalty. Although at the time I was convinced that Jean-Francois Gillet had not made contact with Marko Livaja, replays would later show that the Croatian striker had been touched, and that the referee had made the correct decision. In the dying moments, when I had almost given up hope of ending my trip by witnessing a Torino victory - Matteo Darmian delivered a cross from the right hand side, Jonathas went for the ball and got absolutely nowhere near it, but it fell to fellow substitute Valter Birsa who calmly volleyed into the net. Like everyone else around me, I went ballistic, and started hugging people who two hours previously had been total strangers - but at that moment in time, it seemed to be the only way to react. So finally I was able to see Torino actually win a match, and also end any lingering doubts that there may have been that I was actually jinxing my adopted team. I was also able to witness another tradition of the Italian game, as the players gathered together and saluted the fans who had supported them for the ninety minutes. So there you have it, a rather long winded account of my four night trip to Turin, and one that I will certainly be repeating in the future. I'd like to take this opportunity to thank everybody who I encountered on my trip (there are far too many to name) and who helped make it such a memorable trip. After eight long years of being a Torino supporter, I was finally able to witness a Granata victory in person, as Valter Birsa's late goal gave Toro a 2-1 victory over Atalanta. Matteo Darmian came in for the suspended Danilo D'Ambrosio at right back, whilst Angelo Ogbonna returned after more than three months out through injury. Elsewhere, Alen Stevanovic was a shock inclusion on the left wing, and captain Rolando Bianchi was preferred to Riccardo Meggiorini up front. In the opening stages, Paulo Barreto should have scored his first goal for the club after he combined well with Rolando Bianchi, but the Brazilian somehow blazed over the bar from only fifteen yards out. Torino continued their dominance throughout the first half, and goalkeeper Andrea Consigli had to react quickly to push Alessio Cerci's left footed strike over the bar. Consigli continued to be the busier of the two goalkeepers, and he had to make further saves from Bianchi and once again from Cerci in order to keep the scores level. However, three minutes before half time, an excellent pass from Paulo Barreto put Alessio Cerci through on goal, and the former Fiorentina winger curled the ball exquisitely into the corner of the net. After celebrating his 30th birthday on Friday, Rolando Bianchi looked to be desperate to get on to the score sheet against his former club, and he came very close to doubling Torino's lead - however his long range shot went narrowly wide of the post. Paulo Barreto had an even better chance to end his three year wait for a Serie A goal, but this time from only eight yards out his shot grazed the crossbar. With fifteen minutes remaining Torino were hit with the ultimate sucker punch, as Atalanta were awarded a penalty with probably their first attack of the second half. Angelo Ogbonna was uncharacteristically caught out of position, and that allowed substitute Marko Livaja get into the area before he was upended by Jean-Francois Gillet. Argentine striker German Denis stepped up to take the penalty, and although the Belgian keeper got a hand to it, Atalanta were undeservedly level. 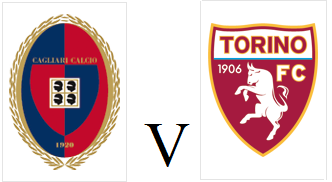 With time running out, it looked as though my run without seeing a Torino victory would continue, however in the dying minutes, Toro got the winning goal that their performance had deserved. The usually cautious Matteo Darmian provided good width down the right-hand side, and his cross was side-footed into the net by substitute Valter Birsa. This victory puts Torino just one point away from Parma in tenth place, and whilst survival is not yet mathematically certain, it would take a mammoth collapse (even by Toro standards) for the Granata to be relegated from here. Whilst my four day trip to Turin was excellent, being able to finally witness a Toro victory whilst standing in the Curva Maratona was certainly the icing on the cake. Despite suffering defeat last time out, the Granata will look to continue their good home form against Atalanta on Sunday afternoon. Angela Ogbonna is expected to return to the starting eleven, whilst Rolando Bianchi (who celebrated his 30th birthday yesterday) could return to face his former (and possibly future) club due to Toro's lack of goals in their last two fixtures. Danilo D'Ambrosio is suspended, so Matteo Darmian will return at right back - whilst Mario Santana is injured, and could be replaced by Dolly Menga who has impressed for the Primavera at the Viareggio Cup. Atalanta will be without key midfielders Giacomo Bonaventura and Davide Biondini, however they will be looking to gain revenge for the humiliating 5-1 defeat Toro inflicted on them in September. Torino's seven match unbeaten run came to an end in controversial circumstances, as they were defeated 1-0 by Udinese on Sunday afternoon. For the fourth game in succession, coach Giampiero Ventura named the same starting eleven - which meant despite recovering from injury, Angelo Ogbonna had to make do with a place on the bench. Belgian goalkeeper Jean-Francois Gillet was busy in the early stages, as he had to make two saves to deny Antonion Di Natale and then Giampiero Pinzi. However the home side did take the lead moments later, as although Gillet did well to save Di Natale's initial long range shot, Argentine winger Roberto Pereyra was on hand to side foot into an empty net. The Granata defence that has been so solid in recent weeks was looking surprisingly vulnerable, and Udinese almost doubled their lead, but Maicosuel's shot rebounded off the post. Despite it being a first half to forget for Toro, on the stroke of half time they probably should have been awarded a penalty when Udinese defender Allan fouled Mario Santana inside the area. Torino almost got back onto level terms in sensational style, but Alessio Cerci's long range effort hit the bar with Udinese keeper Daniele Padelli stranded. Giampiero Ventura brought on strikers Jonathas and Abou Diop in search of an equaliser, and it was the former who came close to scoring, but his goal bound header was deflected off target by a Udinese defender. Despite dominating possession in the second half, Toro still couldn't find a breakthrough - and therefore their unbeaten record was ended in disappointing fashion. However, with a number of winnable games on the horizon (including Atalanta at home on Sunday) then Torino's march up the table can hopefully continue. 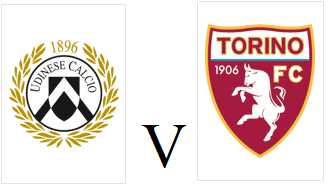 Torino will travel to the North East of Italy on Sunday afternoon to face Udinese, and will be hopeful of extending their unbeaten start to 2013. Captain Rolando Bianchi is injured, so for the fourth game in succession Paulo Barreto and Riccardo Meggiorini are expected to lead the line upfront. Brazilian striker Barreto will have added motivation to score his first game for the club on Sunday, as he is a former Udinese player - although rarely got a regular run in the team. Angelo Ogbonna returns to the squad for the first time since being injured in October, but Guillermo Rodriguez - who has impressed in the absence of the Italian international is still expected to keep his place. Like Torino, Udinese have only suffered defeat on six occasions this season, but like the Granata have drawn more games than they have won. Despite being defeated by Mario Balotelli (sorry AC Milan) in controversial circumstances last Sunday, the Zebrette have been in great form at home in recent weeks - winning their last three matches against Inter, Fiorentina and Siena. ...ah, my mistake. That was the corresponding fixture last season. The 2013 instalment was more domesticated animal than savage, wild beast; somewhat underwhelming by comparison and certainly much less well-attended. But, still, your friend’s enemy is your enemy1 and 3 points were at stake. You have to make an effort whatever the circumstances. So we sang the old songs about our visitors smelling of fish and having a polluted sea (a tad bizarre, considering that Genoa live there, too). There was also a special chorus for Enzo Maresca, “celebrating” his mother (we don’t tend to be very hospitable to ex-Juventini). After his brace of goals against Inter, Riccardo Meggiorini was back in our good books: his name was cheered when announced over the PA system before kick-off, and he was warmly applauded when substituted. However, despite his sterling efforts, he maintained his impressive run of not scoring in Serie A against teams not called Inter. I’m sure that, as he is an ex-Genoa player, it wasn’t for want of trying. But generally we looked a bit toothless in attack - we are sponsored by the Beretta company that makes salami, and not their (in)famous arms-manufacturing namesakes5 – and the introduction of Bianchi in the second half did nothing to change that. I had been hoping that Bianchi would leave during the transfer window (for a variety of reasons, primarily that we are a far quicker team without him) and now the scene is set for his departure in the summer for €0 and we can look forward to a “tedious divorce” (© Peter Bourne 2013) punctuated by the occasional header. Speaking of the transfer window, other than the fact that we didn’t spend any money – Cairo is reportedly going to spend €100 million on the La7 television channel instead, so at least we now know where the Serie A TV money’s going – it seemed to be a generally positive month: Sgrigna slung his hook; some of the young guys have gone on loan to get some playing time; Coppola has returned as back-up keeper to il gattone Gillet; we’ve acquired Jonathas, the wonderfully-monikered Dolly Menga (hello Dolly! ), and Barreto, who is looking the part; plus we kept Angelo Ogbonna, without whom we’re on one of the longest unbeaten runs in European top-flight football (seven games, keeping four clean sheets in the process)6. We didn’t get to see Sampdoria’s Gianluca Sansone (the player formerly briefly known as 'Torino’s Gianluca Sansone') or Maxi Lopez, who famously refused to join us when he finished his loan spell with AC Milan, saying he wanted to play in the Champions League (so he joined, er.. Sampdoria; it wasn’t about money, was it, Maxi? ), so we were deprived of a couple of potentially interesting sub-plots. Perhaps the game’s most interesting incident was my friend Giacomo attempting (unsuccessfully) at half-time to demonstrate that the seats in the Maratona are unbreakable – but I was on the main concourse buying beers at the time and missed all the excitement. Hoping that the game against Udinese will be a superior creature to both this match and the reverse fixture at the Olimpico last September (a 0-0 bore draw). I would like to take this opportunity to declare in writing my admiration for Antonio Di Natale as a player and a human being, and also my hope that he eats the Friuli-Venezia-Giulia equivalent of a dodgy curry before the game and is (how can I put this discreetly?) - indisposed. P.S. I was asked yesterday if I thought Toro would be playing in Europe next season. My answer (in the negative) wasn’t the correct one, apparently! This conversation took place in a bar and should, as such, be taken with a substantial quantity of salt. Having said that, there must be a growing sense of optimism amongst some tifosi to provoke the asking of such a question in the first place. What a difference a month and seven games unbeaten can make. 1 The relationship between Toro and Genoa is something for students of football history. 2 This one’s for students of home economics, as I believe it used to be called. 3 One for the statisticians – this is a broad church! 4 €250 for a €20 ticket for this particular match is something for students of comedy. 5 For the war historians and the foodies again. 6 Perhaps this is will come back and bite us on the arse in the summer: Rodriguez has played well in Ogbonna’s absence and we’ve shown that we can survive quite happily without him; on the minus side his transfer value will no doubt have fallen. Torino extended their unbeaten record to seven matches after recording their fifth 0-0 draw of the season against in-form Sampdoria. Giampiero Ventura stuck with the same team that was so impressive against both Inter and Pescara, which meant that Rolando Bianchi once again started on the bench. The visitors started brightly, and young striker Mauro Icardi almost got on the end of a route one ball from the defence, but it was acrobatically intercepted by Jean-Francois Gillet. At the other end, Toro came close to taking the lead via Alessio Cerci's deflected volley, but it was tipped around the post by Sergio Romero. Kamil Glik was agonisingly close to giving Torino the lead from a corner soon afterwards, and it took an incredible piece of defending from Daniele Gasteldello to deny him. The home side continued to dominate, and Paulo Barreto should have scored his first goal for the club, but his header from six yards out went over the bar. Chances were limited in the second half, and captain Rolando Bianchi came on after 64 minutes in an attempt to force an opening. However the next chance came from an unlikely source, as it was central defender Glik who attempted an ambitious overhead kick from fifteen yards, but it was easily claimed by Romero. In the closing stages, Brazilian striker Jonathas came on for his debut for Torino - as he replaced fellow countryman Paulo Barreto, but unfortunately he could not make an instant impact, and the game finished goalless. Whilst Torino probably had the better of the match, a point was a good result as it continued their impressive unbeaten record, and temporarily at least, puts them ten points clear of the relegation zone. 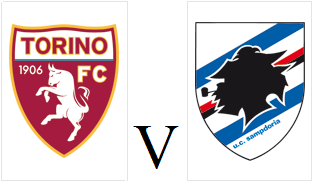 Torino will look to continue their impressive start to 2013 when they face in-form Sampdoria at the Stadio Olimpico on Saturday evening. New signings Jonathas and Ferdinando Coppola have been included in the Toro squad for the first time, but Belgian duo Dolly Menga and Nathan Kabasele miss out. Rolando Bianchi is again expected to start on the bench given the impressive form of Riccardo Meggiorini, which means Danilo D'Ambrosio should continue as captain. Defender Angelo Ogbonna is close to recovering from his injury, and will play with the Torino Primavera side this weekend in order to improve his match sharpness. Sampdoria have enjoyed an upturn in fortunes since the arrival of new coach Delio Rossi, and the last time they were in Turin, they incredibly beat Juventus 2-1 - despite only having ten men. I Blucerchiati come into this match off the back of a impressive 6-0 victory over Pescara, with Argentine striker Mauro Icardi scoring four times.